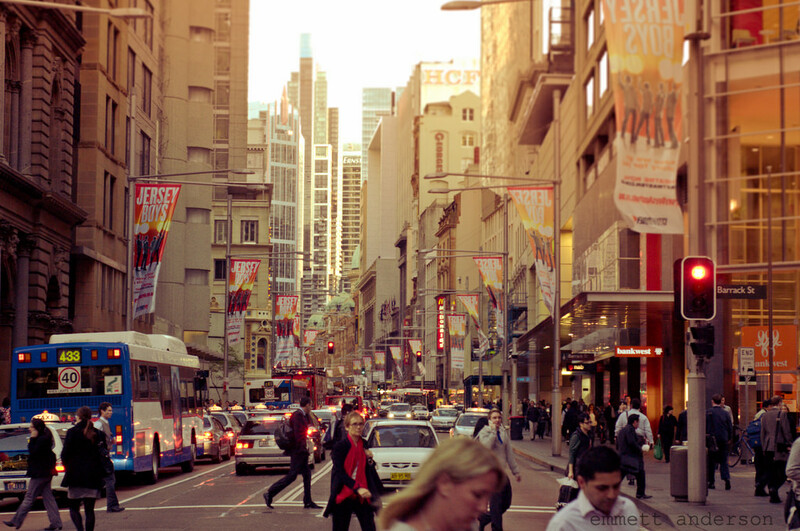 Millions of people live, work and move across the vast Sydney region every day. Some commuters travel an hour or more into the city from Newcastle, the Blue Mountains or Wollongong. 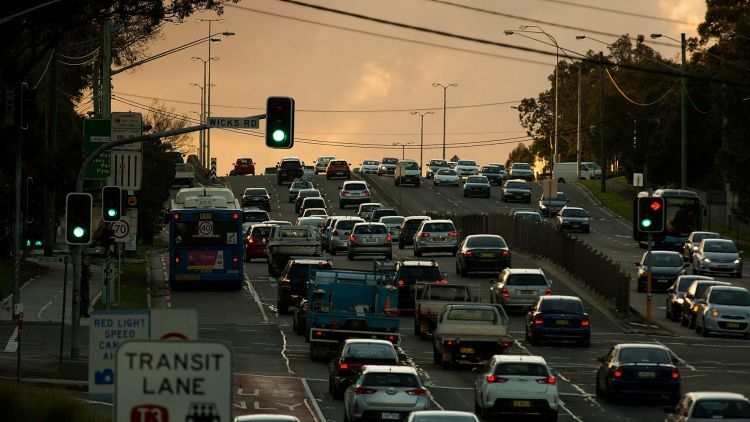 Our website content wrangler Alex MacGibbon didn’t have a long commuter trip, but remembers it vividly – a typical Sydney pattern of home, work, home, beach. Eye on the clock. Almost 5.30. Ear out for the phone. When it stops ringing it means my clients are clocking off so surely we can too? Has the boss left? Ok. Ready. Go. Jog out of the air conditioned boxes into soupy humidity. Sky turning pink, a little orange from another bush fire. Somewhere. Not here. Quickly scoot across Cleveland Street traffic – going west to Glebe, Parramatta. It’s even hotter there. Not for me (this Kiwi needs some respite). Past the rough cut stacked sandstone wall – run my hand along the grey and peach colours. Wonder how old are these stones. When was Central station first built? Did my Dad in his youth ever jog down this same street to a tram bound for Bondi? Probably. I swap hot work shoes for jandals (thongs) I have carried all day – the weight in my handbag the promise of leaving the noisy office behind. But I don’t swap too soon, or risk an injury at the gutter’s edge. Mind the trash. Mind the needles. Mind the gap. Pause on the platform. Flap arms. Jiggle legs. “It’s too bloody hot, mate. Wanna grab a beer?” Blokes in suits whine. Grab a window seat. Air con. Leg room. Lucky. Comfort on trains in peak Sydney-summer depends on the era of the carriage. The new shiny bright ones (Sydney 2000?) are too bright, too cold, but the garish fabric seats at least don’t stick and pull the back of legs like the ripped vinyl seats of the oldest trains. The sounds, rhythmic, the sway. A glorious glimpse of sparkling harbour and bridge at Circular Quay Station and off around a slow wobbly corner towards the eastern suburbs. Picking up speed. I’m certain I can feel a descent. Going deeper underground? Until “last stop” and we stand, more leisurely this time, sigh, make eye contact, smile. Wait for the slide and swoosh of the door. Check bag, skirt, sweaty armpits, ear plugs. All in place. Good. Up the escalator and there’s a change in the air. A welcome breeze at the top. Others run to a bus about to pull out. I pause, breathe. Feel the cooler air and know it’s from the sea. Decide these jandals can handle and I power walk past the bus, past shops. Until I slow to take my time on Old South Head Road. Ducking through back lanes, breathing frangipani and falafel frying. I’m nearly home as I see the same bus weave past on its way to South Bondi. Key in door. Drop bag. Drop clothes. Have you got a favourite walking or cycle route in Wellington? Or a sweet memory from abroad? Nice post. Lived in Sydney for 5+yrs but always in the CBD, walking to work, and never had to do the daily commute. But I did do the Eastern suburbs beaches train-bus combo on the weekends, occasionally. Had clients in Bondi Junction whose “Friday casual” was summer clothes over beach wear. I’d imagine with a CBD beach its not as much effort for Wellingtonians….weather aside.